Boost Conversions with smart B2B Content Marketing Strategy. 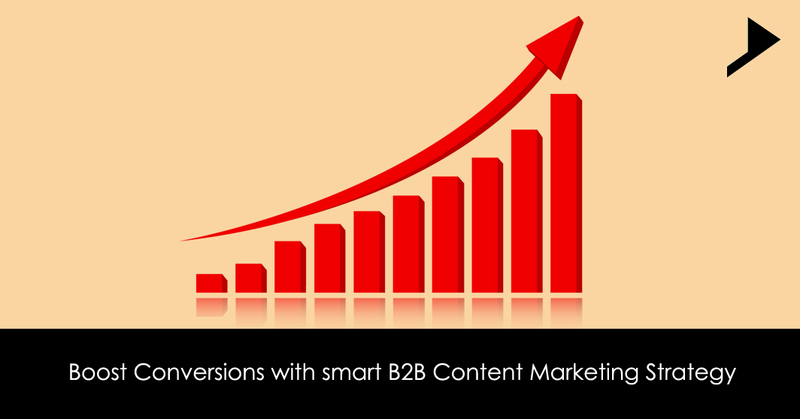 Home / Digital Marketing / Boost Conversions with smart B2B Content Marketing Strategy. B2B marketing is a term having its existence since last many years. There are researches revealing the statistics of B2B marketing approach and its popularity. Small business marketers are entirely concentrating on increasing conversions.Lead generation is given more importance than the brand awareness. Creating high quality and huge volume of leads is turning into a prime objective of the B2B marketers. Content marketing is getting enhanced as a vital aspect of the the digital marketing strategy. 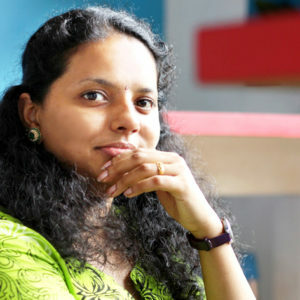 They are depending on high quality content writing to boost traffic, organic visibility and revenue of course. This kind of marketing entirely depends upon the contents but you can take the complete advantage of it only with its proper implementation.Content when appropriately used can boost up the promotion of products and services, lead generation, and connecting with the potential customers. Marketers usually fail to understand the powerful impact of the content on B2B marketing. Conversion rate is approximately six times higher for websites implementing content-marketing strategy ,than for those who did not. Adopting an effective content marketing strategy can help in increasing your conversion rates. Concentrate on great content writing and utilize it shrewdly. Advertisers can utilize astounding contents for giving essential data to the customer, in regards to the product or service. B2B advertisers embrace contents showcasing as a part of their promotional campaigns. On the other hand, 50% of them have conceded they don’t use and exploit potential outcomes successfully. This could be essentially due to the absence of sufficient knowledge about content and its potential. They fail to understand the importance of the contents and its effects on the brand name of the business and its profits for the organizations. Varieties of sales channels are adopted by the marketers. Introducing the products to the customers and convincing them to buy those products depended upon the capability of the sales channel . But now a days things have changed. Customers believe in their own researches and opinions as they have access towards lots of information thorough different medias of communication. Before purchasing the product they always learn about that product first and then only judge the suitability of the product for them. These two techniques if adopted simultaneously perfect outcome could be achieved. Contents are getting valued these days. Push selling technique is gradually shifting to contents at each phase of the sales funnel. Every minute information related to the product can be provided through the effective contents. Contents can be made impactful with the graphical representation. There are comparison guides helping the consumers to get any information they desire about the product. So that, they can shift from awareness stage to consideration stage. Consumers would eventually, make an informed decision and buy the product. Good reviews from a family, a friend tempts a customer to buy that product. Social networking, content marketing, promotional events, word-of-mouth publicity etc. are the media channels which help the customers to get information they need. They no longer need someone to push or persuade them to a decision.This change has resulted B2B companies to realize the vital role of quality content in promotional campaigns and the need to focus on using content effectively. Organizations should hire skilled content creators as well as distributors.To get the faster results B2B companies should realize the importance of incorporating contents in all their campaigns. Originality of the contents plays a vital role in attracting high quality leads and then converting them into the customers . Conversion rates of any website depends upon the quality contents uploaded in the site. The exceptional contents written by the experts help to connect with the target audience and helps in enhancing the online presence. B2B Content Marketing Strategy helps continuous growth of the organizations.